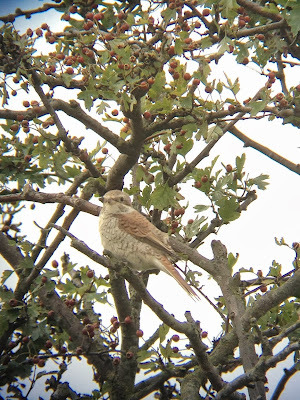 Whilst being good and staying in to tidy the flat and do general admin tasks, we happened to spot the alert for the juvenile Red-backed Shrike in Essex and realised it was only 45 minutes away. Into the car we away and away we went. We’d seen reports of good viewing of the bird, but when we got there realised it was nearly on a par with the Abberton Desert Wheatear! It was flying back and forth from a bush to a nearby fence, feet away from the front row of photographers. It did worry me how close they were, but in all honesty it didn’t seem to bother the bird. We hung back in any case; the views were excellent from anywhere! 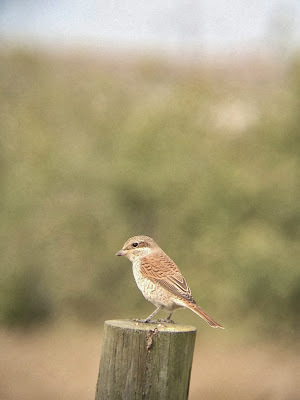 Lovely little bird. Unfortunately as I went to take a photo my camera kindly informed me that I’d forgotten to put the memory card back in that morning, so I had to rely on Stuart and his iPhone for my photos. Luckily, he’s a dab hand and got some gorgeous shots of a gorgeous bird. 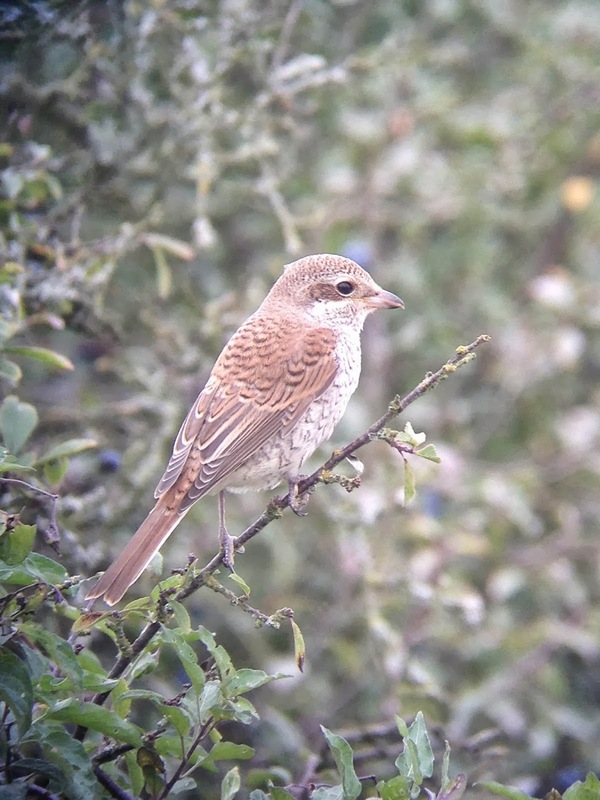 There was a Reed Bunting and an unidentified warbler hopping around behind the Shrike. On the way home, on the dual carriage way just around the corner from the Shrike, I looked over into a field and saw a bird that I will swear until I die was a Crane. Unfortunately it had gone by the time we reached the next island and turned around and with no other mentions of it by other birders, I’ll have to accept I was merely going insane. It was still a Crane though.